7/18/18 – The Forum in Inglewood, CA. It’s a given that music brings people together through common interest in an artist, genre, or lyrical poeticism. However, it’s rare to find a band that exposes their own vulnerabilities in their music to the extent that Paramore does. On paper, the verses of the band’s most recent album, “After Laughter”, dives deep into the complexities and uncertainties of growing up, friendships, public image, and much more. Yet, through the means of synth-pop instrumentation and confident, optimistic vocals, this album is proof that light can be found even the most hopeless places. 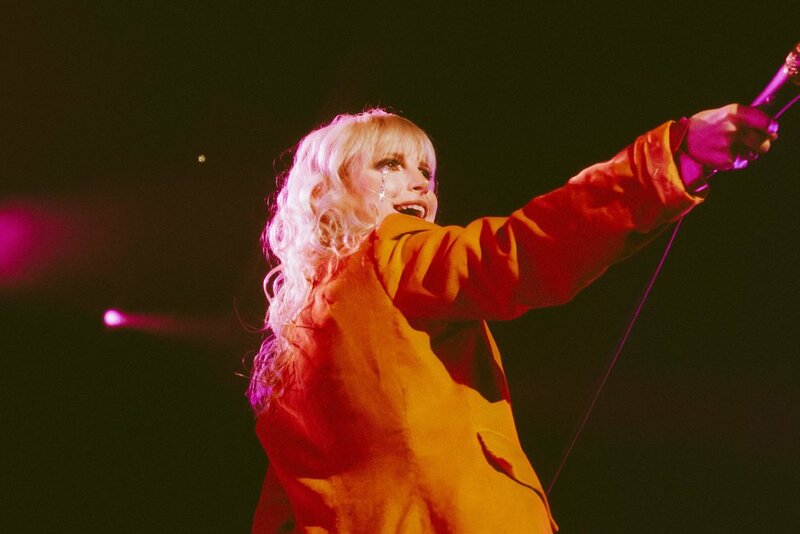 This was apparent during Paramore’s sold-out show at The Forum in Los Angeles on Wednesday as lead singer Hayley Williams explained, “one of our superpowers is to be vulnerable. It allows us to make a change.” Williams, however, stressed that “change is good and change is real” but change doesn’t mean you should forget where you came from. Even 14 years after forming as a band, Paramore is hitting their stride more than they have ever been, in terms of pride and contentment in their work. 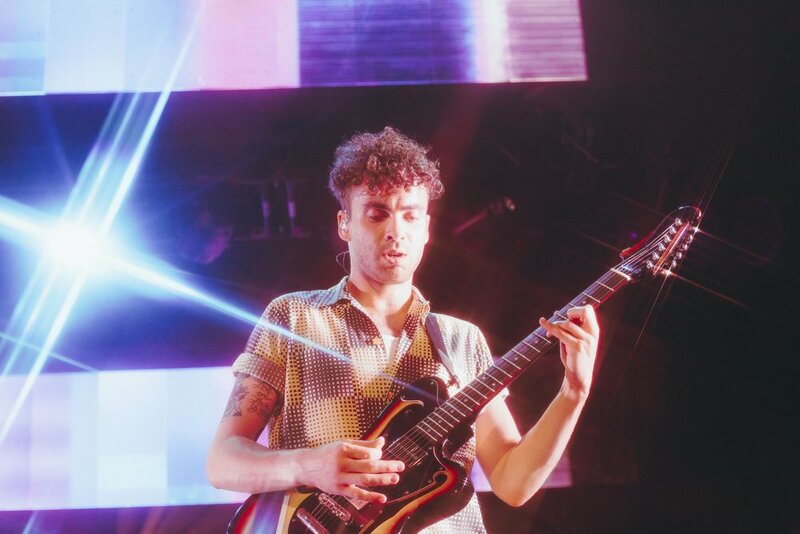 Now on tour five for “After Laughter”, songs that were once staples of Paramore’s punk methodology, such as “Crushcrushcrush”, take on new forms by transforming heavy chords into delightfully groovy riffs that are still recognizable and reminiscent of the band’s roots. 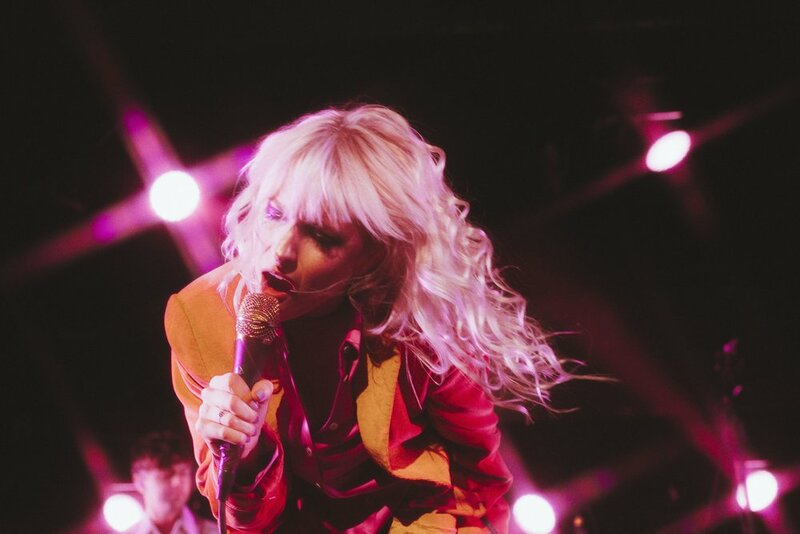 Much of this collective growth has come from the departure of bassist Jeremy Davis and re-introduction of drummer Zac Farro prior to making the album, who has implemented his own style and artistic direction onto Paramore in the best way possible through his experience in his band Halfnoise. What really stuck with me, however, was something that Williams said during a mid-show monologue. She asked the audience to participate in one thing throughout the show, and that was to simply “be here, now” in order to “put aside any existing preoccupation, anxiety, or worry” even if it was only for an hour. Being able to recognize the stresses and worries in one’s life not only show signs of maturity, but also that life’s difficulties don’t define oneself. Williams even mentioned the strength of connectivity and urged attendees to recognize the like-minded people around them and enjoy the moment they were currently experiencing, together. In this way, Paramore’s shows and music provide hope for a brighter tomorrow, through pouring their hearts out into songs that guide both artist and fan through the toughest of times. For a group that has had people coming in and out over the years, with Williams even saying that at times she thought the self-titled album would be their finale, it truly was a heartwarming sight to see all seven members sitting shoulder to shoulder for a dreamy rendition of Drake’s “Passionfruit” during the acoustic portion of the night. One of the best things about this group is not just their passion for creating music, but their drive to overcome the obstacles in their own lives and share that vulnerability in order to help those who feel as if there is nobody to relate to. The set design is a little different this time around on #tour5, as about five rows of mirrors, that double as LED panels, line the back of the stage creating interesting moments in which crowd members can see themselves behind the artists. This allowed the stage to be influenced by the crowd. A picturesque example was during “26” when fans held up phone-lights to envelop the stadium in a warm glow, making the stage shine from the light. It’s no wonder that this band has had so much success over the years, for every minute of their concert had the crowd roaring louder than the last. Through a 2 hour, jam-packed show, Paramore united those in The Forum to join together to boogie, laugh, cry, and dance harder than they knew they could with the people they look up to the most. It felt like a group of friends were back in town to check up on us and just enjoy the night, the music, and the company of being together. More photos are in the “Music” tab or on my Instagram profile.